Why Can’t California Farmers Get the Water They Need? Part ll – California’s Political Water Wars Heating Up. Part l is HERE. Despite some nice rainfall this year, the more than two dozen State Water Contractors throughout the state have been told to expect 45 percent water allocations. A recent Daily Democrat article said 100 percent water supply is probably not even possible for many areas, and estimated that 60-70 percent of water supplies through the two state aqueducts could be as good as it gets. While recent rain has helped greatly, state water officials say it’s not enough to replenish years of drought. Hundreds of thousands of acres of California farmland were not planted last year. The oft-repeated media fib that farmers use 80 percent of California’s water, is not true. 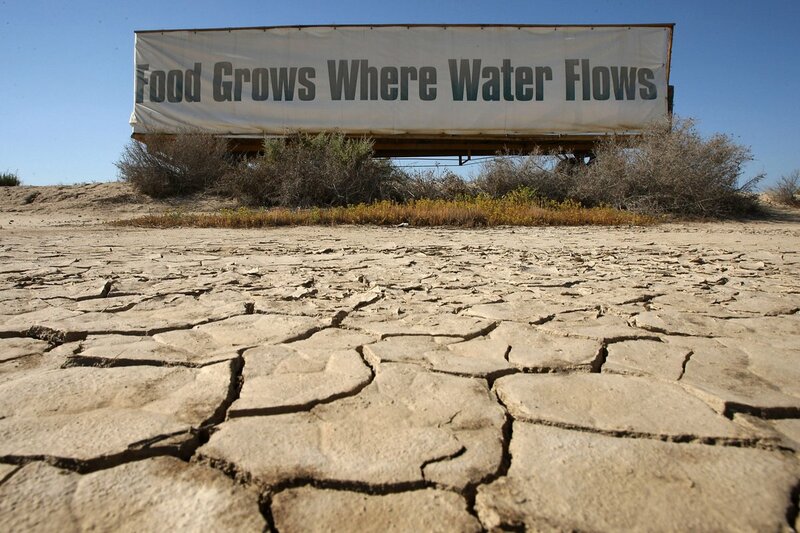 What they don’t admit, however is California’s most recent drought is mostly a man-made crisis. Droughts are nature’s fault; they are naturally occurring. But water shortages are the fault of government officials. The state of California hasn’t significantly invested in water storage since the 1970s when Jerry Brown was governor the first time around. “This is an era of limits and we all had better get used to it,” Brown said upon being elected governor in 1975, embracing the “small is beautiful” way of thinking. Since then, California’s population has doubled, as have environmental demands. More than fifty-percent of the state’s water resources are allowed to flow out the San Francisco Bay to the Pacific Ocean. The truth is that 50 percent of California’s water goes toward environmental purposes. Of the rest of the water, only about 10 percent goes to “urban” uses for homes and businesses, and 40 percent is used by agriculture. A full 50 percent of the water is used for environmental purposes. Last year at this time, Gov. Brown’s appointees at the State Water Resources Control Board ordered the release of massive amounts of water from the New Melones Reservoir and Lake Tulloch, to save a dozen fish. This occurred at the same time Brown was threatening to fine residents who water “their little green lawns,” and for lingering in the shower too long. So while the governor and his environmentalist water gatekeepers were going to empty reservoirs to save a few fish, farmers have been deprived of water. A proposed ballot measure would shift bond money earmarked for California’s bullet train and use it instead to build new dams and enlarge existing dams. The initiative would also amend the State Constitution to include language prioritizing residential and agricultural water use over environmental claims on river water. The California Water Alliance, State Sen. Robert Huff, R-Diamond Bar, and state Board of Equalization Member George Runner, R-Lancaster, the initiative backers and supporters, recently postponed signature gathering for November ballot qualification for several reasons, including the exorbitant cost per signature due to the high number of ballot initiatives being circulated at this time. The measure would reverse Proposition 1A, the $9.9 billion high-speed rail bond measure approved by voters in 2008, by shifting $8 billion in unsold rail bonds to water storage projects. It would also shift the $2.7 billion in water-storage money away from the California Water Commission’s decision-making structure set up by Proposition 1. The money would be diverted to a new State Water and Groundwater Storage Facilities Authority to choose projects that would receive the bond money. With voter passage of Proposition 1, the 2014 water bond, most lawmakers and the people of California thought they were voting for more water storage and reservoirs. But voters were misled. $100 million in the Prop 1 bond that had been earmarked for “Water Conservation (urban and agriculture)” was reallocated through two pieces of legislation to fund consumer rebates for urban landscape watering efficiency products. Ag irrigation conservation programs were left completely out of the equation. Prop 1 contains no other “agriculture” set-asides. It is also important to note that Gov. Brown has systematically booted a number of qualified people off of the California Water Commission, the body that decides how to spend $2.7 billion in Prop. 1 Water Bond water storage money. Statute requires that the commission have two members that represent the environment. With Brown’s latest appointments, the Commission has six members with major ties to environmental groups, out of the nine members. Among the booted was former Assemblyman Dave Cogdill, the swing Republican vote that passed the original water bond legislation back in 2010 as SBX2-7. Statute says that the commission should represent all areas of the state. It has no representatives from San Diego, the Desert, the Sierras, or anywhere in the state north of San Rafael/Sacramento. The Commission is also supposed to favor appointees with engineering background. It had only one, Anthony Saracino, who was also an environmentalist, and director of the California Water Program at The Nature Conservancy. 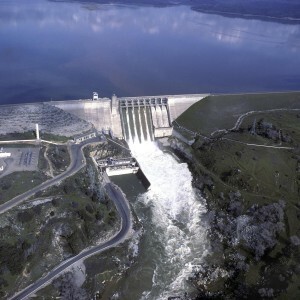 But Saracino was recently bullied into resigning the Commission by environmentalists, over his support for considering the expansion of Shasta Dam, which was slated to receive funds from the 2014 ballot-passed water bond. Saracino was replaced by Carol Baker, of Sacramento, chairwoman of the California Fish and Wildlife Strategic Vision Blue Ribbon Citizen Commission in 2011 and an independent water policy consultant. Andrew Ball: Construction & Project Management. Previously, he was President and CEO of Webcor Builders, one of the largest general contractors in the nation and a leader in green building. Joseph Byrne: Environmental Lawyer. A member of the firm’s Environmental & Natural Resources Law, Special Districts, Municipal, and Business Services practice groups. Daniel Curtin: Carpenters Union. Served as director for the California Conference of Carpenters since 2001 and previously held the same position from 1992 to 1999. Paula Daniels: Environmentalist. A Pritzker Environment and Sustainability Education Fellow for 2015. She has worked on issues related to food systems, water, and climate as a volunteer at the Governor’s Office of Planning and Research since 2014. Joe Del Bosque: Farmer: President and CEO of Empresas Del Bosque, Inc. Previously he served as director of Pacheco Water District and the San Joaquin Valley Drainage Authority. Maria Herrera: Community Activist: a community development specialist at Self-Help Enterprises since 2014. She was a community advocacy director at the Community Water Center, and an ag-aid inspector. David Orth: GM and Finance. General manager of the Kings River Conservation District since 2002. He was vice president of resource management at California Valley Land Company Inc. and held multiple positions at Westlands Water District. Armando Quintero: Environmental Educator and Marin Water District President. Next: Who is blocking 29 million in Los Angeles from getting water, and why? This entry was posted on Monday, April 11th, 2016 at 5:49 pm and is filed under Blog Posts.